In 1996, California’s Proposition 215 exempted patients who possess or cultivate medical marijuana recommended by a physician from criminal laws. 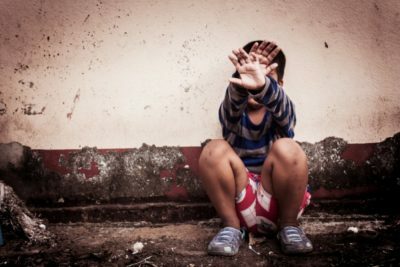 Since this legislation passed, the crime rate, substance abuse, and number of people in jail all increased in California. However, little to no regulations were put into place involving the commercial growing of marijuana. Pot users under the pretense of medical usage began growing marijuana plants at an unprecedented of rate. Now we are learning that illegal, unregulated marijuana grows are ravaging California’s ecosystems. California is experiencing one the most severe droughts in the last 1,200 years. Add to that an increase of marijuana plant grows and the makings of an ecological disaster are set. An op-ed in The Fresno Bee states the “cost of inaction is too high,” referring to California’s lax regulators and damaged ecosystem. The ecological damage caused by those who cultivate marijuana plants is irreparable, especially in California’s San Joaquin Valley and Emerald Triangle areas. The San Joaquin Valley is made up of eight California counties (Kings, Fresno, Merced, Stanislaus, Madera, San Luis Obispo, Tulare, and Kerns) and is being hit hard by the drought. It is here and in the north coast of California that illegal marijuana grows are primarily cropping up. The illegitimate pot growers are setting up base where pastures of trees are home to quaint vistas and the rivers are home to abundant wildlife. We are losing precious parts of the environment as a result of marijuana’s ravage. The mighty Eel River, is drought stricken and undergoing a die off of Coho salmon. What’s worse is that these illicit pot growers need an estimated 500,000 gallons of water a day to irrigate their marijuana fields. Streams and rivers are being sucked dry with several other species of fish, including Chinook salmon and steelhead, on the verge of extinction. The river is drying up into an area covered entirely by moss. This devastating sight is more than a consequence of the drought. It is a negative impact of the glut of marijuana activities on the river. Trinity, Humboldt, and Mendocino Counties make up the area of California known as the Emerald Triangle. Picture majestic mountains and valleys; a countryside of flawless beauty. The rugged terrain looks like something out of a storybook. Once known for its stunning scenery The Emerald Triangle is now a preferred location for marijuana grows. Pot growers are commandeering private land and our National Forests. These growers are clearing the native vegetation to make way for the marijuana plants. Their food source no longer available, wildlife is dying off. Toxic chemicals are sprayed on the marijuana crops. Chemicals such as Strychnine, Carbofuran, and rodenticides have become so widespread in the Emerald Triangle they’ve made their way around the food chain. Evidence involving the deaths of insects, birds, bears, deer and fish are becoming commonplace. 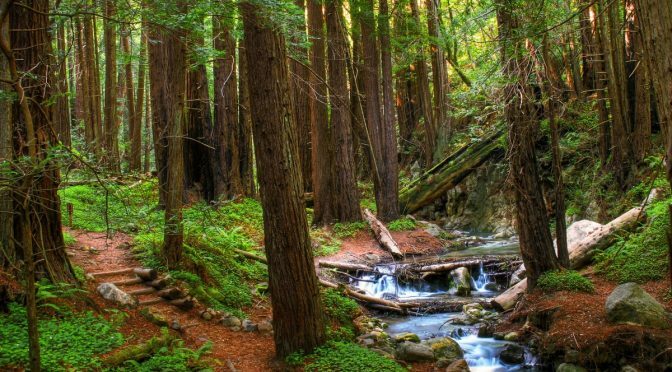 It’s clear to see that marijuana’s ravage is felt by rivers, forests and the entire ecosystem. The situation is so alarming that California lawmakers are now calling for the regulation of marijuana growers. “Marijuana is literally sucking rivers dry,” said Mike McGuire, Chairman of the California State Senate Joint Committee of Fisheries and Aquaculture. “It’s a major environmental concern,” added Mourad Gabriel, a scientist at the University of California. The negative marijuana impacts on environment can be stopped if we eliminate the majority of the illegal pot grow sites. Across the state, there are an estimated 53,000 pot grows; all launched subsequent to Proposition 215. 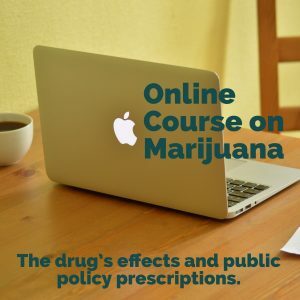 “The vast majority of medical marijuana recommendations are given to recreational users, typically men between the ages of 18 and 34. For those that truly feel they need medical marijuana we propose the government grow that amount on one state controlled farm, and eliminate all private cultivation sites and dispensaries,” said Roger Morgan, Director of Stop Pot 2016. Our friends in Colorado are also familiar with devastating marijuana impacts on environment. Hundreds of grow sites produce marijuana day and night. While the climate in California is suitable for outdoor marijuana growing, in Colorado, indoor grow sites are housed in giant warehouses with intense lighting. These facilities are consuming tremendous amounts of energy. To quantify marijuana’s carbon footprint in simpler terms, Washington State’s Northwest Power and Conservation Council states, “four marijuana plants consume enough electricity to run 29 refrigerators for the same time span.” This new demand on the electrical grid will undoubtedly raise utility costs for all consumers. Marijuana impacts on the environment are devastating. Pot smokers in Colorado may have let out screams of joy when recreational marijuana was legalized, but it’s almost certain these same people will let out gasps of disbelief when everyday activities powered by electricity become more expensive. Californians will be voting (November 2016) on recreational marijuana. We hope they take to heart the information regarding dried out rivers, displaced wildlife, increased energy use, and toxic chemicals to the polls when deciding marijuana’s future. The devastating marijuana impacts on environment are felt widespread from California to Colorado. Hopefully these illegal fields are discovered, before they cause too much damage. The damage caused by these fields is sickening. It’s not fair that our precious environment is suffering at the hands of marijuana. 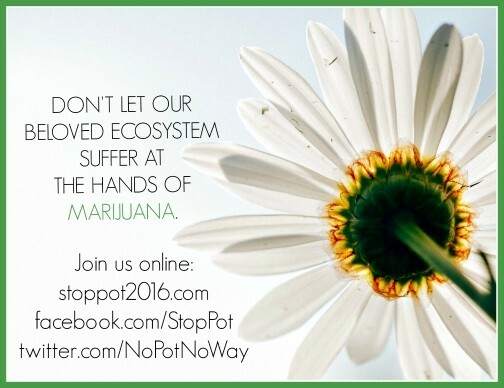 Please spread the world about Stop Pot and follow us on social media. Kudos to Roger Morgan and the (replay) interview on the air I just heard moments ago. It’s a tough challenge connecting this message with the youth because when you are young, you think you are invincible, you want to take in all life’s experiences and you want to take part with popular trends and be accepted with your friends. It’s a gigantic challenge. I figure that if California capitulates to marijuana, so goes our country forever. And ‘capitulation’ is the correct operative word from my perspective, because we are not being conquered from armies from afar, instead we are being conquered from within by a plant! And that will eventually subject us much greater vulnerability to whatever outside threats we will certain face this century. Because our predominantly doped up culture will not have the wherewithal to maintain the concept of America. And we will be ‘nuttier’ like some of the Arabs, as we follow in their footsteps. Random, senseless acts of violence, cops getting killed daily, mall shootings and bombings, and few grasp or suspect the origins. It’s permanent affect of drugs on the brain, specifically the cannabinoids. And who knows, maybe we (America) will become the evil ones? Hard to ever imagine, but just think how close the druggies were to nuclear weaponry this last year. And think how our foes might think about this- that is having druggies around nuclear weapons that are pointed at them! Or think how we are now completely ignoring a real Holocaust in Mexico financed by our very own drug culture. One hundred thousand or more dead- tortured and murdered, and nobody but nobody seems concerned, let alone feels shame? And we are capitulating through ignorance, corruption and addiction. Here is another article — a very scientific one. It’s scary, and I suspect at the root of this double standard is that marijuana has very powerful, deep reaching influences on the mind (the brain’s neural structure) that we don’t even realize. How else can we explain this phenomenon? Pingback: Knowledge | Stop Pot Processing in Deer Park!